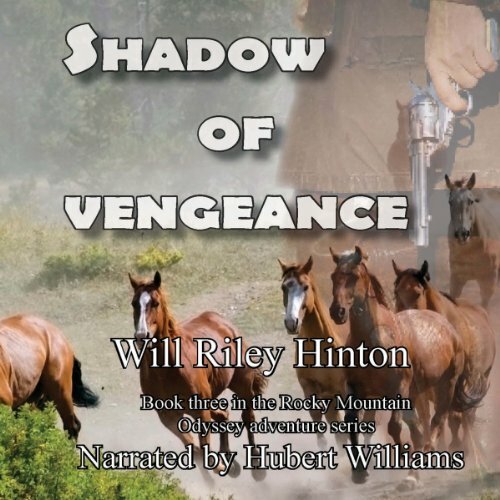 The Twin Forks crew is back with their most exciting and dangerous adventure of all in the third story of the Rocky Mountain Odyssey series. Dan Kade has married Allison, the love of his life and they have their first child. His three best friends Bear Rollins, Red Elk, and Five Ponies have become his partners on the beautiful Twin Forks Ranch. All is well. Life is good. Or is it? Don t get too comfortable in the wild, wild west, because danger is always at hand. Unbeknownst to Dan and his friends, their deadliest enemy is back, and he's casting a Shadow of Vengeance on all they've sought to build. But this time he s brought all manner of ruthless evil along with him, and the friends of Twin Forks will have all they can do just to stay alive! He carried a Sharps fifty caliber buffalo gun and a huge and menacing Bowie knife. The man was known simply as Cannon and he was a ruthless, cold-blooded killer. Dan Kade thought he was gone, but now Cannon was back with a vengeance, casting an evil shadow everywhere he went.